One of eight recipients of a 100,000 Strong in the Americas Innovation Fund grant, Colorado State University-Pueblo, the Colorado State University Todos Santos Center, and Autonomous University of Baja California Sur (UABCS) will collaborate to establish an Institute of Ecotourism Studies in Baja California Sur, Mexico. Each year, the 100,000 Strong in the Americas Innovation Fund grant sponsored by MetLife Foundation facilitates eight new higher education partnerships between the United States, Mexico, Chile, Argentina, and Colombia that offer new exchange and training opportunities to students who traditionally lack access to or are underrepresented in international exchange programs. This bi-national effort includes collaboration between Fort Collins and Pueblo campuses led by CSU-Pueblo Assistant Professor of Recreation & Outdoor Leadership Dr. Daniel Bowan, Kim Kita, director of special projects & partnerships at Colorado State University, and Dr. Plácido Roberto Cruz Chávez, professor at Universidad Autónoma de Baja California Sur. The Institute of Ecotourism Studies will highlight the significance of ecotourism in the Baja California Sur region and in Colorado by providing education around the role and impacts of tourism on local cultures and communities. With a primary focus on undergraduate education, the Institute also will include research and community engagement. The grant will support workforce development in the ecotourism industry throughout the Baja region, as well as student development and community workforce enhancement. Bowan has an extensive background in experiential education, leading successful outdoor expeditions for the past 20 years. The grant will support three field-based academic courses to be held throughout 2018. The programs will occur in Mexico and Colorado with focus on ecotourism, sustainable travel, and alternative tourism issues. Courses will be open to CSU-Pueblo, CSU-Fort Collins, and Autonomous University of Baja California Sur students and will focus on cultural exchange between Mexico and Colorado students. 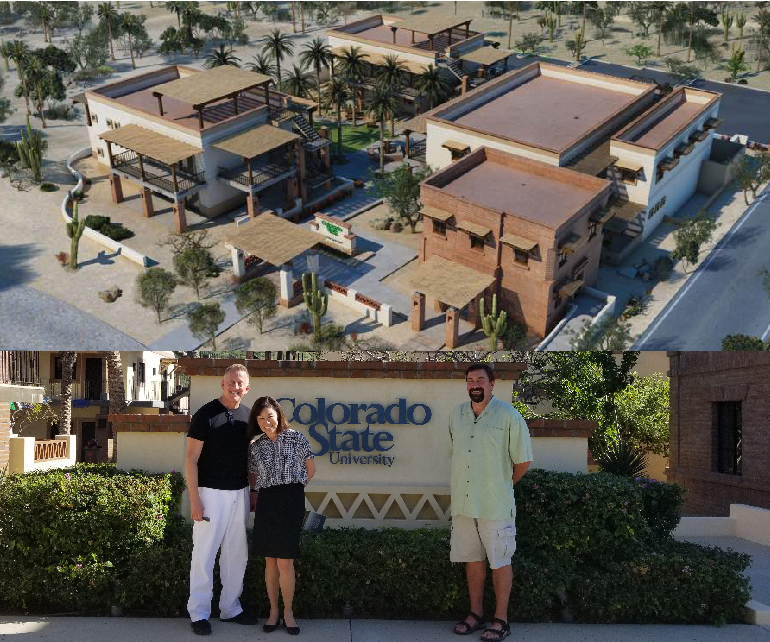 The grant also will support the development of an Ecotourism Symposium to be hosted at the CSU Todos Santos Center in Mexico, featuring educational workshops, clinics, and research presentations with the goal of supporting local workforce development. Working with Todos Santos Eco-Adventures, a premiere ecotourism company, the symposium will engage a variety of regional industry partners and students.